When Jesus died, many of his disciples and admirers believed that he had experienced his final defeat. Some even believed that all his teachings and miracles were for nothing. What his disciples didn't understand until the third day was that Jesus' death wasn't the end of the story. In fact, his resurrection proved that his death was actually his victory. His resurrection allowed his disciples to understand Jesus' ministry, suffering and death from a completely new perspective. And when John wrote the book of Revelation, his readers needed this new perspective too. The early church faced persecution from the powerful Roman Empire. And many Christians began to view this as a defeat. But John encouraged his readers to find both comfort and confidence in the victory that Jesus achieved at his resurrection. He wanted them to understand that even if their lives ended in martyrdom, that wouldn't be the end of their story either. Eventually, Jesus would consummate his kingdom, and every believer that had ever lived would share in his victory. This is the first lesson in our series on The Book of Revelation, sometimes called The Apocalypse, or The Apocalypse of John. We've entitled this lesson "The Background of Revelation." In this lesson, we'll see that Revelation's context and setting can help us understand its original meaning, and apply its message to our own lives in the modern world. 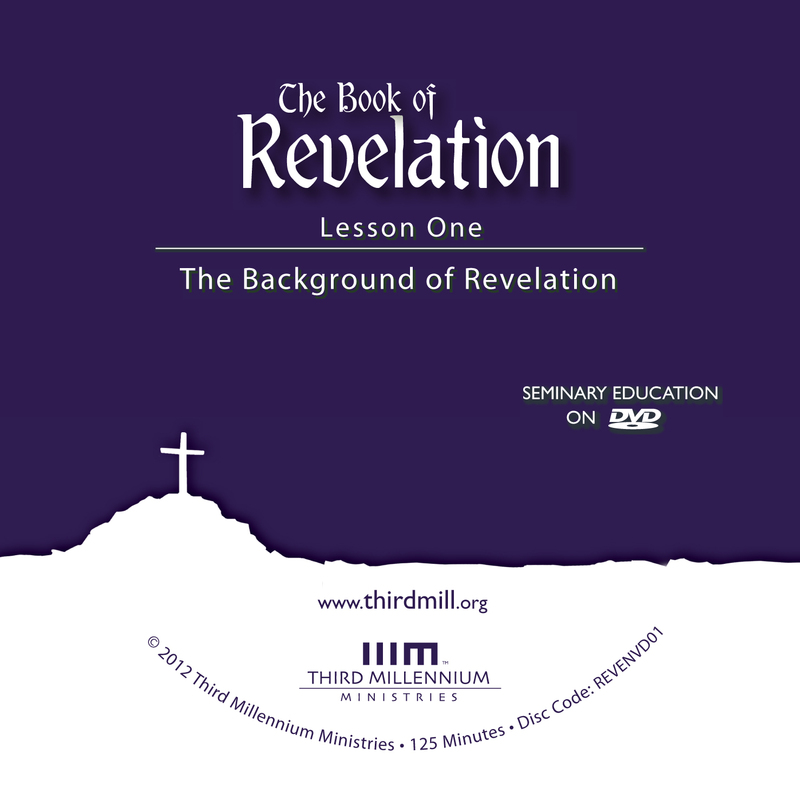 This lesson on the background of Revelation will divide into three parts. First, we'll explore the historical background of the book of Revelation. Second, we'll discuss its theological background. And third, we'll consider its literary background. Let's begin with the historical background of Revelation. The book of Revelation has fascinated both believers and unbelievers ever since it was written. But different interpreters understand the symbols and imagery of the book in very different ways. The strange creatures, the cosmic battles, the plagues and judgments — some interpreters find these images so confusing that they lose all hope of understanding this part of Scripture. But the truth is that much of this confusion stems from our unfamiliarity with the historical context of the book. So, in order to learn how to interpret and apply Revelation rightly, it helps to understand something about its history. We'll look at three fundamental aspects of the historical background of Revelation: its author; its date of composition; and its original audience. Let's begin with the author of Revelation. We'll explore the author of the book of Revelation in two ways. First, we'll see that the traditional attribution of the book to the apostle John is reliable. And second, we'll explore John's location and experience when he wrote it. Let's turn first to the traditional view that the apostle John wrote the book of Revelation. The author of the book of Revelation identified himself by the relatively common name "John." He mentioned his name in Revelation 1:1, 4, 9 and 22:8. But he didn't specifically identify himself as John the apostle. He did mention that he faithfully served Jesus, and that he had suffered for the kingdom of God. And it seems clear from the book that he was a prophet. But these general details aren't sufficient to demonstrate that the man who wrote the book of Revelation was the apostle John. Even so, there are at least two good reasons to affirm the traditional view that the apostle John wrote this book. For one thing, many credible early witnesses testified that he was the author. As early as the second century A.D., church fathers like Justin Martyr, Irenaeus, and Clement of Alexandria identified the apostle John as the author of the book of Revelation. Justin made this claim in his Dialogue with Trypho , chapter 81. Justin's testimony is particularly valuable because he lived in Ephesus in the early second century, among people who had known John personally. Irenaeus mentioned John's authorship in his work Against Heresies , book 4, chapter 18, section 11. His testimony is also very helpful, because Irenaeus was a disciple of Polycarp, who in turn had been a disciple of the apostle John. As a result, Irenaeus was in a superior position to know which works John had actually written. Finally, Clement of Alexandria seems to have assumed John's authorship in his work Who is the Rich Man that shall be Saved? , section 42. A second reason to affirm the traditional view that the apostle John wrote the book of Revelation is its vocabulary. There are many distinctive similarities between the vocabulary in the book of Revelation and the vocabulary in John's other works. For the sake of time, we'll mention just two. First, within the New Testament, the designation of Christ as the "word" or "logos" is found only in Revelation 19:13 and John 1:1, 14. Similar language also appears in 1 John 1:1. And second, Jesus' statement "Whoever is thirsty, let him come" in Revelation 22:17 is paralleled in the New Testament only by his statement "If anyone is thirsty, let him come to me and drink" in John 7:37. Despite these strong arguments supporting the apostle John as the author of the book of Revelation, critics as early as the third century have disputed his authorship. For example, the third century bishop, Dionysius of Alexandria, pointed out that the author of Revelation identified himself as John, while the author of John's gospel and letters never told us his name. Dionysius also called attention to other differences between Revelation and John's other works, such as their different literary styles and use of Greek. And some critics continue to make similar objections today. Of course, there are good explanations for why one author might have produced works that look different. For example, John may have attached his name to this work so that people would be certain that it came from an authoritative source. Or he may have stated his name because he had been commissioned by Christ himself to deliver this book to seven specific churches. And just because John didn't name himself in some writings is no reason to conclude that he would never name himself in any writings. Furthermore, the stylistic differences between Revelation and John's other writings can also be easily explained. The visions John recorded in the book of Revelation are very different from the revelation he received during Jesus' earthly ministry. Also, unlike John's other biblical writings, Revelation was written in an apocalyptic style, which probably occasioned many of the differences in his literary style and use of Greek. These differences might also have resulted from John's different purposes for writing and even from his different relationships with his various original audiences. In summary, the evidence favoring the apostle John's authorship substantially outweighs the evidence against it. For this reason, in these lessons we'll affirm the traditional view that the book of Revelation was written by the apostle John. Having spoken of the apostle John as the author of Revelation, let's turn to John's location and experience when he wrote the book. According to Revelation 1:9, John wrote the book of Revelation while he was on Patmos, a small island in the Aegean Sea, approximately forty miles southwest of Ephesus. Patmos is a rocky and barren place, virtually devoid of trees. Its unpleasantness made it a good location to punish popular people who were perceived as threats to the civil order of the Roman Empire. And Revelation 1:9 strongly implies that John had been exiled to Patmos. While John was enduring these harsh conditions, he received several visions from Christ. And the book of Revelation is John's record of and commentary on these visions. On the Lord's Day I was in the Spirit, and I heard behind me a loud voice like a trumpet, which said: "Write on a scroll what you see and send it to the seven churches: to Ephesus, Smyrna, Pergamum, Thyatira, Sardis, Philadelphia and Laodicea" (Revelation 1:10-11). Here, and in other passages like Revelation 21:5, John made it clear that he wrote in obedience to this command from God. God was going to show him a vision, and John was to record this vision and send it to these seven churches in Asia Minor. Knowing that the book of Revelation resulted from a supernatural vision given to John has led some interpreters to diminish the importance of John as the author of this book. After all, if it's just a record of a vision, then what difference does its author make? What possible input could John have made? With the possible exception of the letters in chapters 2 and 3, God revealed visions to John, not the actual words he was to write. Generally speaking, John wrote about his visions in his own words. So in this regard, the book of Revelation is a lot like the Gospel of John. First, John observed the events of Jesus' life. Later, he reported those events in his gospel, in a way that was designed to meet the particular needs of his audience. In much the same way, John observed the visions he reported in the book of Revelation. Then he wrote his book as a true record of his experiences. And as we'll see in these lessons, John selected and arranged the material in the book of Revelation in ways that addressed the needs of his original audience. Like the rest of the Bible, the book of Revelation was inspired by God. The Holy Spirit superintended John's work so that everything he wrote was true and authoritative. But as we'll see throughout these lessons, John was still an active, thinking author. With the possible exception of the letters in chapters 2 and 3, John didn't receive dictation from Jesus. He was responsible for recalling his vision, for understanding it, and for presenting it in his own words. Now that we've considered John's location and experience when he wrote the book of Revelation, let's look at the date when he composed it. Evangelical interpreters generally point to one of two probable dates for the writing of Revelation: either an early date during the time of the Roman emperor Nero, or a late date in the time of the Roman emperor Domitian. We'll consider both these dates, beginning with the time of Nero. The Roman emperor Nero reigned from A.D. 54 to 68, and historians that argue for a date in Nero's time tend to place the writing of Revelation at the end of his reign. In Nero's early years, competent advisors had great influence with him. But over time his rule degenerated dramatically. Nero is notorious for having blamed Christians for the fire of Rome in A.D. 64, and for using this accusation as an excuse to persecute Roman believers in large numbers. The arguments for dating the book of Revelation during the late years of Nero's reign are based on at least three pieces of information. The first main evidence is John's reference to seven kings. In Revelation 17, John described a scarlet beast with seven heads and ten horns. And in verses 9-11, he said that the seven heads represented seven kings. Most interpreters agree that these seven kings were Roman emperors. Julius Caesar is sometimes counted as the first emperor of Rome. He was followed by Augustus, Tiberius, Caligula, Claudius, Nero, and Galba. In fact, in Revelation 17:10, we find the detail that the sixth king of Rome was in power when John received his vision and wrote the book of Revelation. This reference has led many interpreters to conclude that John's Apocalypse was written during the reign of Nero. A second major argument that John wrote during Nero's reign comes from John's reference to the Jewish temple. In particular, John mentioned the temple in Revelation 11, and some scholars interpret this to mean that the Jewish temple in Jerusalem was still standing when Revelation was written. But history records that the temple in Jerusalem was destroyed in A.D. 70, two years after Nero's reign ended. So, if the temple was still standing when Revelation was written, it's likely that the book of Revelation was written during the reign of Nero. The third factor that may point to a date in Nero's time is that John wrote during a period of persecution. The book of Revelation frequently mentions the fact that John's readers were suffering. We can see this in Revelation 1:9; 2:9, 10, 13; 6:9 and 20:4. And as we have already said, Nero was well-known for promoting the persecution of Christians. He wasn't the only Roman emperor to do this, but he was the first to do so in a noteworthy manner, even if his persecutions were generally limited to the area around Rome. Although there's no specific historical evidence that the persecution under Nero spread beyond Rome to other parts of the Empire, this possibility can't be ruled out. So, this can also be seen as supporting a date during Nero's reign. But while the arguments favoring a date in Nero's reign have some merit, they aren't entirely convincing. In fact, a number of objections have been raised against them. First, Julius Caesar wasn't actually an emperor. His successor Augustus was the first to claim that title. So, Julius Caesar might not be the first of the seven kings mentioned in Revelation 17:9-11. Second, as we've seen, Revelation 11 mentions the temple. But John was told in Revelation 11:1-2 that all but the outer court of this temple would be protected from the Gentiles. In contrast to this, in Matthew 24:1-2, Jesus himself had already predicted that the temple in Jerusalem would be destroyed by the Gentiles. So, it's difficult to be sure that Revelation 11 refers to the temple that was destroyed in A.D. 70. Third, while it's possible that Nero's persecution spread to Asia Minor, there is no historical evidence that it actually did. So, it's difficult to tie John's descriptions of Christian persecution directly to Nero. Because of problems like these, a majority of evangelicals prefer a later date for the book of Revelation. Now that we've looked at the arguments for a date in the days of Nero, let's turn to the evidence suggesting that John wrote the book of Revelation during the reign of Domitian. Scholars who favor a late date for the writing of Revelation tend to place it during the reign of the Roman emperor Domitian, who ruled from A.D. 81 to 96. At least four factors can be cited in favor of this date for the writing of Revelation. First, several early church fathers indicated that the book was written at this time. For instance, in his work Against Heresies , book 5, chapter 30, section 3, the early church father Irenaeus reported that Revelation was written "toward the end of Domitian's reign." Earlier in this lesson, we mentioned that Irenaeus was a disciple of Polycarp, who in turn was a disciple of the apostle John. So, there is good reason to trust his testimony on this matter. This date also concurs with the testimony given by some of the church fathers in the early second century, such as Clement of Alexandria, who implied that John was released from exile upon Domitian's death. A second factor favoring a date in Domitian's reign is the same reference to seven kings that some interpreters use to support a date in Nero's reign. As we've seen, in Revelation 17:9-11, John explained that the seven heads on the scarlet beast were seven kings. Those who argue for a date in Domitian's reign argue that all seven kings are presented as severe persecutors of the church. So, rather than counting all the Roman emperors, they count only those emperors who persecuted the church in significant ways. By this reckoning, Caligula was the first emperor. He reigned from A.D. 37 to 41. Claudius, was the second, reigning from A.D. 41 to 54. Nero was the third, reigning from A.D. 54 to 68. Following Nero, three minor emperors are ignored, because they did not significantly contribute to the persecution of the church. The fourth emperor that persecuted the church was Vespasian, who reigned from A.D. 69 to 79. The fifth was Titus, who reigned from A.D. 79 to 81. And the sixth, during whose reign Revelation would have been written, was Domitian, who ruled from A.D. 81 to 96. A third factor that points to a date in Domitian's reign is the persecution of Christians. According to many historians, Domitian persecuted the church outside Rome more extensively than any prior emperor had. For example, in A.D. 96, Clement of Rome wrote a letter to the Corinthians that spoke of "sudden and repeated calamities and mischances" that had befallen them. These "calamities and mischances" suggest a more systematic persecution of Christians during Domitian's reign. He is reported to have feared the coming of Christ. And he was even said to have executed his own cousin, the Roman consul Flavius Clemens, because Flavius was a Christian. A fourth reason suggesting a date in Domitian's time is that Domitian required emperor worship. The theme of emperor worship appears in several portions of the book of Revelation. For instance, the beast that represents the seven kings in Revelation 17:9-11 also requires people to worship him in Revelation 13, 14 and 16. This motif may indicate that Revelation was written during a time when the Roman emperor required Christians to worship him. There is no evidence that Nero demanded that people worship him. But Domitian clearly did. Christians met his disfavor whenever they refused to acknowledge his claim to be "god and lord." Domitian began all of his letters with the phrase "Our Lord and God commands," and he required his subjects to address him in the same way. He also had gold and silver statues of himself placed in the temples to the Roman gods. But the view that John wrote during the time of Domitian also has its weaknesses. For instance, John never said that the seven kings in chapter 17 were significant persecutors of the church. And he never mentioned the destruction of the physical temple in Jerusalem in A.D. 70, which would have already taken place by the time of Domitian. The precise time when John wrote the book of Revelation can't be identified with certainty. But there seems to be more support for the view that it was written during Domitian's reign. Interpreters who support this view usually suggest a date around A.D. 95, near the end of Domitian's life, just before John was released from Patmos. In these lessons, none of our interpretations will hinge on a specific date for the book of Revelation. Instead, we'll focus on the fact that it was written sometime during the latter half of the first century, at a time when believers were being persecuted for their faith, and pressured to worship the emperor. Having examined the author and date of Revelation, let's discuss its original audience. John explicitly addressed Revelation to seven churches in Asia Minor, in an area that's now part of western Turkey. The churches were located in the cities of Ephesus, Smyrna, Pergamum, Thyatira, Sardis, Philadelphia, and Laodicea. Each church received encouragement, and when necessary, rebukes, according to its condition. Historians and the book of Revelation itself explain that Christians living in these cities faced all kinds of temptations and pressures to turn from the true Christian faith. Like many Christians in every age, they felt pressured to compromise their faith. The churches of Asia Minor faced many sources of pressure to compromise their beliefs and practices. But for our purposes in this lesson, we'll focus on four problems that characterized their circumstances. First, pagan trade guilds pressured Christians to worship false gods. In the first century, trade guilds existed throughout Asia Minor. These were groups of laborers and professionals that organized for economic purposes. Everyone, including Christians, needed to join these trade guilds if they hoped to do much business in their communities. This social practice presented a serious challenge to followers of Christ, because each guild had a patron deity, and members of the guild were expected to show their allegiance to that deity. Christians who refused to show allegiance to the patron deity of a guild were often excluded from business dealings with its members. A second pressure to compromise came from Jewish communities that were spread throughout Asia Minor in the first century. For the most part, religions in the Roman Empire could only be practiced in the countries of their origin. One notable exception to this law was Judaism. Jewish synagogues were in operation in most significant cities in Asia Minor. Early on, the Romans viewed Christianity as a sect of Judaism, with the result that Christianity could be legally practiced throughout the empire. But as the Jews began to disassociate themselves from Christian believers, Christianity lost its legal status in most parts of the empire, putting Christians at risk of punishment and persecution from the government. As a result, Christians felt pressure to conform to Judaism, and even to abandon their faith in Christ. A third pressure to compromise true Christian faith came from the Roman government, which demanded that Christians worship the emperor and the Roman gods. Because the Jewish community rejected the Christian church, the government required Christians to participate in public worship of the Roman gods. And in Domitian's day, this even included an affirmation that the emperor was a god. If Christians refused to join in this idolatry, they could be accused of atheism — a crime that carried severe consequences, and could even result in execution. In order to preserve their physical safety, many Christians felt pressured to engage in this false worship. Sadly, in addition to pressures to conform that came from outside the church, a fourth pressure actually came from wayward Christians. The Bible doesn't give us many details about the problems in the churches of Asia Minor. But the letters to the churches in Revelation 2 and 3 do list several specific troubles caused by people within the Christian community. For example, the immoral teachings of Balaam are referred to in Revelation 2:14. A group called the Nicolaitans is condemned in Revelation 2:6, 15. And a false prophetess named Jezebel is mentioned in Revelation 2:20. Moreover, these wayward Christians appear to have been pressuring other Christians to join in their false practices. But not all wayward Christians joined these heretical sects. Some simply gave up their faith and rejoined the pagan religions that surrounded them. One interesting record of this comes from Pliny the Younger, who was governor of Pontus and Bithynia from A.D. 111 to 113. Others named by the informer declared that they were Christians, but then denied it, asserting that they had been but had ceased to be… some as much as twenty-five years [ago]. They all worshipped your image and the statues of the gods, and cursed Christ. Christians in every age face pressures to compromise their loyalty to Christ in thought, word, and deed. In many areas of the world, Christianity is still an illegal religion. Faithful believers have to meet in secret, at risk of being arrested, and in some cases even killed. There is also intellectual pressure. Secular scholars, friends and family often ridicule Christianity as an ignorant religion that's contradicted by science. There can also be pressure to compromise our behavior and beliefs for the sake of succeeding in business, or to avoid unjust treatment in society. And the book of Revelation addresses these kinds of situations. Its message is that Jesus is the supreme King, and that he will eventually return to make everything right. And when he does, he'll reward everyone that has remained faithful to him. With this understanding of the historical setting of Revelation in mind, we're ready to explore its theological background. Broadly speaking, the book of Revelation affirms the theology of every book in the Bible that was written before it. John relied extensively on prior biblical writings, and he expected his readers to be familiar with them too. The theological background of Revelation can be described in many ways. But in this lesson we'll focus on three of its most central concepts: first, the scriptural doctrine of eschatology or "the last days"; second, the concept of covenant; and third, the role of biblical prophets. Let's look first at the doctrine of eschatology. In John's day, the early church was experiencing great tension because Jesus hadn't returned yet to finish his work. During his earthly ministry, Jesus had begun to bring salvation to every nation by inaugurating the final stages of God's kingdom on earth. But by the time John wrote, Jesus had been gone for half a century, and some Christians were beginning to wonder if he was coming back at all. So, one reason that John wrote was to reassure his readers that Jesus was hard at work building his kingdom, and that he would certainly return in the future to fulfill every promise the Bible had made about him. In other words, John wrote to explain the biblical doctrine of eschatology — the Bible's teaching about the events of the last days. The term eschatology means "the study of the end times or the study of last things." It derives from the New Testament Greek word eschatos, which usually means "last." Traditionally, the term "eschatology" referred primarily to the Bible's teaching about the second coming of Christ. But more recent biblical scholars have used the word "eschatology" to refer to the study of the climactic character of the entire period from Christ's first coming to his return. This broader view of eschatology corresponds to the fact that passages like Hebrews 1:2 and 1 Peter 1:20 refer to the entire New Testament period as the last days or last times. To understand how New Testament writers understood the last days, it helps to begin with the teachings of the Old Testament. The Old Testament prophets foretold that the future Messiah or Christ would end the tyranny of foreign rule, and usher in God's kingdom on earth. In the time of those kings, the God of heaven will set up a kingdom that will never be destroyed, nor will it be left to another people. It will crush all those kingdoms and bring them to an end, but it will itself endure forever (Daniel 2:44). In this verse, Daniel taught that God's kingdom would crush rival nations and rulers in order to establish God's unending rule over the entire earth. And in Daniel 7:13-14, the prophet went on to say that this kingdom would come through the work of the Son of Man, also known as the Messiah or the Christ. Prophetic passages like those in Daniel led Jewish theologians in the first century to divide history into two great ages: this age of sin, suffering and death; and the age to come, when God would completely destroy his enemies, and ultimately bless his people. In the centuries after Daniel, Israel continued to struggle against pagan empires and foreign rulers. And Jewish theologians increasingly longed for the coming of the messiah to end this age and usher in the age to come. Jesus' himself frequently relied on this basic two-age view of history in his preaching. For example, he spoke of this age and the age to come in places like Matthew 12:32, Mark 10:29-30, and Luke 20:34-35. But Jesus also introduced a new perspective on the two ages. On the one hand, he continued to refer to the age to come as a future age. But on the other hand, he also spoke of the kingdom of God coming in his own day. In other words, he taught that in his day, the two ages of history had begun to overlap. The age to come had begun even though the present age or this age hadn't ended yet. According to Jesus, believers already live in God's kingdom, and already enjoy many of its blessings. If I drive out demons by the Spirit of God, then the kingdom of God has come upon you (Matthew 12:28). Jesus' victory over demonic powers proved that he had begun or inaugurated the final stage of God's kingdom on earth. Through the earthly ministry of Christ, God was bringing the final defeat of his enemies, and the final blessings for his people. His kingdom was breaking into this evil age. It was rescuing God's people and ensuring their future blessings. And as we just read in Matthew 12:28, this rescue began in the time of Christ. We see this same theme in passages like Luke 16:16; 17:20-21, and John 3:3. At the present time, the kingdom continues to grow, as we see in Matthew 13:24-30; 36-43, and Luke 19:11-27. And the kingdom will be completed or consummated in the future, when Christ returns, as Jesus taught in passages like Matthew 16:27-28; 24:44-51, and 25:31-46. This two-age view of eschatology is particularly evident in the writings of the apostle Paul. On the one hand, he affirmed that this present age of sin and death still exists. For example, he referred to Satan as "the god of this age" in 2 Corinthians 4:4. And he spoke of the pagan philosopher as "the philosopher of this age" in 1 Corinthians 1:20. Moreover, Paul used the expression "the age to come" to refer to the future age when final judgments and blessings will come to the human race. We see this in places like Ephesians 2:7, and 1 Timothy 6:19. And he explicitly contrasted both ages in Ephesians 1:21. On the other hand, Paul also taught that the age to come had already arrived in some sense. For instance, in 1 Corinthians 10:11, he wrote that the fulfillment of the ages had come in Christ. And in Colossians 1:13-14, he said that believers have already been brought into Christ's kingdom. The view of eschatology taught by Jesus and Paul is sometimes called "inaugurated eschatology" because it says that the age to come has begun, or been inaugurated, but that it hasn't yet come in all its fullness. Jesus inaugurated God's kingdom during his first coming, but he didn't completely do away with this age. And since that time, dimensions of both ages have existed alongside each other. As a result, believers already experience some of the blessings of the age to come. But we won't experience all its blessings until the age to come is consummated when Jesus returns. According to Jewish eschatology, the Messiah was supposed to bring the present age of sin and death to a climactic end as he ushered in the age to come. But Jesus didn't do that, and this left many people wondering if he really was the Messiah. This is one reason the writers of the New Testament worked so hard to explain that the kingdom of God comes in stages. Yes, this change was surprising. But Jesus' powerful miracles and testimony were sufficient to prove that he was telling the truth, and that God really did intend to bring the kingdom in an unexpected way. When Jesus returns, this evil age will end entirely, and the age to come will arrive in all its fullness. But until then, dimensions of both ages will continue to exist alongside each other. But how did this view of eschatology impact John as he wrote the book of Revelation? And why was this particular point of theology so important to him and to his audience? During the time that John was writing the book of Revelation, the churches of Asia Minor were struggling with a perceived discrepancy in their beliefs. On the one hand, they believed that God ruled history, and that Christ had been victorious over this present evil age. Jesus had fulfilled Old Testament hopes by coming as the deliverer for all who believed in him. But on the other hand, the churches of Asia Minor had to deal with the reality that evil was still very much at work in their world. As a result, they faced some very difficult questions like: "If salvation has come in Christ, why does the world still tempt Christians to sin?" "If Christ reigns, why doesn't he rescue us from our persecution?" And of course, "How and when will all of these trials end?" In one way or another, these questions all relate to eschatology. And they are precisely the kind of questions that the book of Revelation answers. John was clearly aware of the theological tensions created by the New Testament's outlook on the last days. And one of his goals for the book of Revelation was to help Christians cope with it. Throughout his book, he encouraged his readers to view this tension in light of two victories. First, he called their attention to the victory that Jesus had already won over the present age. Through his death, resurrection and ascension, Christ had secured every true believer's inward, spiritual salvation. This initial victory is celebrated in places like Revelation 1:18, where Christ proclaimed that he had risen from the dead and would never die again, as well as in chapters 5 and 12, which speak repeatedly about the authority and power Christ received through his death and resurrection. The second victory John highlighted was the final victory Christ will achieve when he returns — a victory that will result in the complete destruction of God's enemies and the renewal of all creation. This final victory is in view in places like Revelation 1:7, and throughout chapters 19 and 22. John wanted his original audience to know that Jesus Christ really had defeated the power of sin, suffering, and death, just as the Old Testament had foretold. And on this basis, John also encouraged his readers to trust that Jesus would return to complete God's judgment and salvation. With this understanding of eschatology in mind, we're ready to turn to a second aspect of the theological background of Revelation: the biblical concept of covenant. Although the word "covenant" only appears one time in the book of Revelation, the Old Testament concept of covenant shaped the book in some very important ways. It set the basic expectations God's people were to have regarding their lives in God's kingdom. It promised their future deliverance and blessing. And it motivated them to overcome every adversity they faced. To help us recognize the role the concept of covenant plays in the book of Revelation, it will be useful to review the way the idea developed throughout Scripture. While each of God's covenants had its own unique features, a three-fold pattern characterized all divine covenants. First, each covenant demonstrated God's great benevolence to his people. Second, God expected loyalty from them in grateful response to his benevolence. And third, God regulated his kingdom by establishing a just system of consequences. Specifically, those who were loyal received blessings, and those who were disloyal received curses. In the covenant with David — mentioned in passages like 2 Samuel 7:1-17, Psalm 89 and Psalm 132 — God established David's dynasty as the conduit of God's blessings and judgments for his people. The sons of David were God's vassal kings, representing the entire kingdom before God. As in all other covenants, God showed benevolence, expected loyalty and reminded the house of David of the consequences of his blessings and curses. But later in Israel's history, David's descendants failed so badly that the entire nation of Israel was exiled under the curse of God. But even in exile, the prophets of Israel predicted that in the last days God would renew his covenant through a righteous Son of David. The prophet Jeremiah referred to this renewal as a new covenant in Jeremiah 31:31. According to the New Testament, Christ is the great Son of David who fulfills this new covenant. Jesus Christ is king over God's kingdom on earth. And God, the great king or emperor, has made a covenant with Jesus and his church. In Jesus, God's greatest benevolence is displayed. Christ himself kept all the requirements of loyalty on our behalf. He suffered the eternal curses of the covenant when he died in our place. He rose again on the third day to share the eternal blessings of God's covenant with his people. And he is coming again to provide his people with God's ultimate blessings in the renewed creation. God's covenant people have always included both faithful people and unfaithful people. And this will continue to be the case until Christ returns. During the days of Adam and Noah, the world's population included believers and unbelievers. The same was true of God's special nation during the days of Abraham, Moses and David. And even the New Testament churches contained a mixture of believers and unbelievers. Some had true saving faith in Christ, but others didn't. So, when John wrote the book of Revelation for the churches in Asia Minor, he knew that only some of his original readers were true believers. The believers were anxiously waiting for God to reward their loyalty with blessings. But others within the church had begun to waver in their loyalty, and were in danger of falling under God's curses. In response to this situation, John reminded his audiences of the nature of life in covenant with God. Between the first and second comings of Christ, we live in a period of testing, when the true condition of our hearts is being revealed. Those who trust fully in Christ will receive his covenant blessings. But those who don't will fall under his covenant curses. So, because you are lukewarm — neither hot nor cold — I am about to spit you out of my mouth (Revelation 3:16). At least some of the people in the church of Laodicea were in danger of turning from the gospel of Christ. So, John warned them that if they didn't remain faithful, they would suffer God's covenant curses. These warnings were actually extensions of God's love for his people, because they gave John's readers the opportunity to repent. In fact, we see God's benevolence throughout the book of Revelation. It's displayed in his love for his people, in the sacrifice of Jesus for us, in the kingdom of God, and in our hope in Christ's return. God loved us so much that he sent his Son to suffer for us, and he rose again from the dead so that we can live in his kingdom forever. And his benevolence should encourage us to remain faithful to him, even in the midst of great suffering. With this understanding of eschatology and divine covenants in mind, we're ready to turn to a third aspect of the theological background of the book of Revelation: the role of prophets. We'll consider the role of prophets first by comparing them to ancient covenant ambassadors; second, by looking at the potential results of their prophetic work; and third, by focusing on the way the apostle John fulfilled the role of prophet in the book of Revelation. Let's begin by focusing on biblical prophets as covenant ambassadors. We've already seen that the Bible describes God's covenant with his people in ways that resemble ancient imperial treaties. So at this point we're ready to look at the related idea that biblical prophets like the apostle John served as imperial ambassadors or messengers of God's covenant. In the ancient world, emperors didn't typically travel around their vast kingdoms personally — at least not on a regular basis. Instead, they appointed ambassadors to do this for them. It was the job of these ambassadors to encourage the vassals or servants of the emperor to fulfill the obligations of the treaty. The ambassadors did this largely by reminding the vassals of the rewards they would receive if they were loyal to the terms of the covenant, and warning them of the punishments they would receive if they violated these terms. In much the same way, God commonly sent prophets both in the Old Testament and the New Testament to serve as his covenant ambassadors. He charged them to deliver specific messages or prophecies to his people. When the people were obedient, the prophets tended to encourage them by reminding them of the rewards they would receive if they continued to obey. But when the people were disobedient, the prophets generally warned them of the judgments God would bring against them if they refused to repent and change their ways. As we said earlier in this lesson, most modern Christians associate the word "prophecy" with predictions about the future. But in the world of the Bible, the word "prophecy" is mainly applied to messages that God sent to his people in order to motivate them to faithfulness. Prophets were God's covenant ambassadors. They reminded his people of their covenant obligations, and of the consequences of their behavior. When a prophecy was intended to motivate God's people to action, it shouldn't be seen as absolute and unchanging prediction of the future. Instead, it should be seen as an offer of blessing or a threat of curse. If the people responded positively to the prophecy, they could expect blessings. But if they refused to repent or became complacent in their obedience, they could expect to be cursed. If at any time I announce that a nation or kingdom is to be uprooted, torn down and destroyed, and if that nation I warned repents of its evil, then I will relent and not inflict on it the disaster I had planned. And if at another time I announce that a nation or kingdom is to be built up and planted, and if it does evil in my sight and does not obey me, then I will reconsider the good I had intended to do for it (Jeremiah 18:7-10). Here, God explicitly stated that prophecies are announcements of coming disaster or good. But the recipients of that prophecy can influence the way the prophecy is fulfilled. Announcements of disaster might be reconsidered if the people repent. And announcements of blessing might be reconsidered if the people begin to act sinfully. This may sound strange at first, but it makes perfect sense once we understand that prophets were covenant ambassadors. God's covenant required loyalty from his people and provided consequences both for obedience and for disobedience. Now, it's important to point out that sometimes God actually did intend prophecies to give his people a glimpse of a certain future. At other times, he was so intent on bringing a prophecy to pass as stated that he miraculously ensured that his people would act in ways that brought about its unmodified fulfillment. At times like these, the prophets explicitly indicated God's strong intentions. One way that God indicated his strong intentionality was by adding assurances to his prophecies. These might be words stating his strong intentions, symbolic prophetic actions, or even miraculous signs. Whenever this type of assurance accompanied a prophecy, it indicated that it would be harder for human beings to change the prophecy's outcome. Sometimes, we see other prophecies confirmed by promises in places like Amos 4:2, where God swore by his holiness; Jeremiah 49:13, where he swore by himself; and Ezekiel 5:11, where God said that judgment would come as surely as he lives. When God swore by himself, he effectively removed the possibility of human responses thwarting the outcome of the prophecy. God's promises raised the certainty of the predicted outcome to the level of the covenant itself. As surely as God can't lie, he won't change what he's sworn by himself. The fact that God sometimes reinforced his prophecies by assurances and promises ought to comfort us, because our Christian faith is grounded in the eventual fulfillment of biblical prophecy. Most importantly, we believe there will come a day when Christ will return to earth to judge his enemies and reward his faithful followers. We have hope that one day God will restore his creation and wipe every tear from our eyes. These prophecies have been reinforced so frequently throughout Scripture that we know they can never be revoked or reduced. One day, all these predictions about Christ's return will come true. With this basic understanding of prophets as covenant ambassadors in mind, we're ready to look at the potential results of their prophetic work. As we've just seen, prophecies of blessing don't automatically obligate God to continue to bless his people. If at some point they turn away from him, one potential result is that God may reconsider those blessings in order to address his people's disobedience. And in the same way, prophecies of judgment should generally be seen as warnings for those who claim to be God's people. Prophetic warnings explain what God will do if the people continue in their sinful ways. And these warnings are given ahead of time because God is merciful — he wants to give his people an opportunity to repent, and to avoid the consequences of their disobedience. In this sense, most prophecies of judgments are extensions of God's benevolence to his people. They are intended not to give people forewarning of unavoidable doom, but to motivate them to change their ways. Scripture demonstrates at least five ways that the potential results of a prophecy might be affected by the responses of its recipients. First, sometimes God revoked a prophetic warning or offer. For instance, listen to the words of the prophet Joel in Joel 2:12-14. "Even now," declares the Lord, "return to me with all your heart, with fasting and weeping and mourning." Rend your heart and not your garments. Return to the Lord your God, for he is gracious and compassionate, slow to anger and abounding in love, and he relents from sending calamity. Who knows? He may turn and have pity and leave behind a blessing (Joel 2:12-14). Even though Joel had prophesied judgment on God's people, he understood that there was still hope. Heartfelt repentance might change the outcome of the prophecy. Second, the blessing or curse that had been prophesied could also be delayed. For example, in 2 Kings 20:1-7, Isaiah prophesied that King Hezekiah would die of illness. In response to this prophecy, Hezekiah wept and prayed and asked God to remember his faithful service. So, God delayed his death by 15 years. Third, sometimes God reduced the blessing or judgment he had announced. For instance, 2 Chronicles 12:5-12 tells the story of the prophet Shemaiah, who announced that God would allow Egypt to destroy Israel. When Rehoboam and the leaders of Israel heard this, they humbled themselves. So, God reduced his judgment against them. Instead of being destroyed by Egypt, they would only become Egypt's subjects. Fourth, sometimes God actually increased the fulfillment of a prophecy. One of the most memorable times God increased the fulfillment of a prophecy is found in Daniel 9:1-27. In this case, God had cursed his people by exiling them from the Promised Land for 70 years. But at the end of those 70 years, they still hadn't repented of their sin. So, God increased their exile by extending it. And fifth, prophetic predictions can also be fulfilled in an unmodified way. For instance, Daniel 4:28 and 33 records the fulfillment of a prophetic dream that was interpreted by Daniel the prophet. The dream predicted that King Nebuchadnezzar would be driven from his people and eat grass like cattle. This dream was reinforced by God's prophetic words in verses 30 and 31 a year after the dream. And immediately after God's words, the prophecy came about as predicted. Now that we've compared the role of biblical prophets to ancient covenant ambassadors and looked at the potential results of their work, let's turn our attention to how the apostle John fulfilled the role of a prophet in the book of Revelation. It's easy to see that when John wrote the book of Revelation, he was acting as God's covenant ambassador, and that his goal was to motivate the early church to unfailing faithfulness. John constantly reminded the churches of Asia Minor about the principal dynamics that all biblical covenants share. He reminded them of God's benevolence. He stressed the requirement of loyalty. And he emphasized the consequences of blessings for faithfulness and curses for unfaithfulness. These features appear in many ways throughout the book. But they are most clearly presented in the letters to the seven churches in Revelation 2 and 3. Each letter begins with an affirmation of the greatness and benevolence of Jesus Christ. Then it draws attention to the requirement of loyalty, and offers blessings or threatens curses. These are the words of him who holds the seven stars in his right hand and walks among the seven golden lampstands (Revelation 2:1). God's benevolence is seen in Revelation 2:1 in the fact that Jesus walked among the lampstands, which represent the churches addressed in the letter. He hadn't abandoned them, but was always with them. As the letter to the church of Ephesus continues, we find the requirement of human loyalty. For instance, in verses 2-4, Jesus praised the Ephesian church for its hard work and endurance, but criticized it for losing its first love. He also approved of the Ephesians hatred for the practices of the Nicolaitans. After this, the letter to the church at Ephesus turns toward the consequences of the covenant. The consequence of curses for disobedience can be seen in verse 5, where Jesus threatened to remove the church's lampstand if its people failed to repent and to regain their first love. And the consequence of blessing for obedience can be seen in verse 7, where Jesus offered to bless his obedient followers with access to the tree of life. When the apostle John wrote the book of Revelation, many churches in Asia Minor were wavering in their commitment to God's covenant. Some people within the church had even begun to doubt that Jesus would return. Others wondered how Jesus' kingdom could possibly be growing when all they personally experienced was suffering and opposition. So, throughout the book of Revelation, the apostle John served as God's prophet to these churches. He reminded them of God's benevolence. He warned his readers of the dangers of unfaithfulness. And he gave them hope for the future to encourage them to remain faithful until the Lord returned. So far in our lesson, we've discussed the historical and theological background of the book of Revelation. So at this point, we're ready to look at its literary background. How did the book of Revelation compare to other writings of the period? We'll explore the literary background of Revelation in two steps. First, we'll compare the book of Revelation to the genre of Old Testament prophecy. And second, we'll compare it to the specific type of biblical prophecy known as "apocalyptic literature." Let's begin with Old Testament prophecy. The Bible contains many different types or genres of literature: historical narrative, law, poetry, wisdom literature, epistle, prophecy, and others. Each genre has its own literary conventions and ways of communicating. Historical narrative communicates in a more straightforward fashion than poetry. Epistles or letters are even more direct, and often tell their readers how to apply biblical teachings to specific circumstances. Differences like these are important to keep in mind as we read the Bible. After all, it's much easier to understand what a passage teaches if we first understand how it teaches. So, in order for us to make sense of the book of Revelation, one of the important things for us to do is properly identify its genre. The genre of the book of Revelation can be broadly identified as prophecy. In fact, the apostle John specifically called it a prophecy in Revelation 1:3. As we've seen, biblical prophecy sometimes involved predictions of the future. But more than anything else, it was a message from God to his people that was intended to motivate them to faithfulness. We'll examine the genre of biblical prophecy in two ways. First, we'll look at its characteristics. And second, we'll consider the various types of fulfillments of prophecy found in Scripture. Let's begin with the characteristics of prophecy. Biblical prophecy has many different characteristics, and we don't have time to mention them all. So, we'll focus on just two of its most important features, beginning with its typical forms. Because the book of Revelation fits within the biblical genre of prophecy, it will help for us to summarize some of the typical forms prophecy took in the Old Testament. In the Old Testament, a prophecy could be a message of rebuke to God's people, or an oracle of woe or judgment on his enemies, a proclamation of blessing for obedience, a promise of vindication for those faithful to the covenant, a declaration of God's plan for redemption, a prayer or conversation between a prophet and God, and, on occasion, a prediction of future events. One of the most common forms of Old Testament prophecy was a lawsuit, in which the vocabulary of the prophecy mirrored the legal language of the courtroom. Typically, God was presented as summoning disobedient Israel into court in order to be judged. These lawsuits usually stressed the kindness of God and threatened judgment if Israel continued to disobey. Sometimes, they even offered to reward faithfulness and repentance with blessings. Frequently, predictions of the future were set in the context of these threats of judgment and offers of blessing, indicating that the predictions were conditioned upon the people's response to the prophecy. In many respects, John's prophecies in the book of Revelation functioned in the same ways as the prophecies of the Old Testament. A second feature of Old Testament prophecy is that it makes frequent use of imagery to convey its meaning. The term imagery can have a wide range of meaning. But when we use it to describe prophecy, we're referring to language that describes things in ways that incite imaginative sensory experiences. Essentially, imagery highlights the ways we can imagine seeing, hearing, smelling, tasting or touching something. For example, in Jeremiah 18, the prophet Jeremiah used the image of a potter forming a lump of clay to explain that God has the right to shape Israel in whatever way he wants. And in Ezekiel 37, Ezekiel used the image of a valley filled with dry bones to describe the spiritual lifelessness of God's people. Then he brought them hope by explaining that the bones came together to form living human beings again. And the book of Revelation makes frequent use of imagery too. His feet were like bronze glowing in a furnace, and his voice was like the sound of rushing waters. In his right hand he held seven stars and out of his mouth came a sharp double-edged sword. His face was like the sun shining in all its brilliance (Revelation 1:15-16). These beautiful images of Jesus highlight his great power and authority. His voice has the power of the sound of a great waterfall; he holds in his hands seven stars, symbolizing kingly authority; and his face shines brilliantly as he gives light to the world. We find similar images throughout the book of Revelation. We read of many-headed beasts with horns and crowns, angels with trumpets and bowls, songs and cries for vengeance, the eating and tasting of scrolls, horses and riders, mountains, and even a city descending from heaven. In fact, it would be hard to find a paragraph anywhere in the book of Revelation that didn't contain some type of imagery. The book of Revelation draws a lot of its imagery from the Old Testament. And this means that our familiarity with Old Testament prophecy can help us recognize imagery in Revelation. And more than this, it can even help us interpret Revelation's imagery, since Revelation and the Old Testament often use the same images in the same ways. Recognizing imagery throughout the book of Revelation doesn't mean that we have to interpret Revelation allegorically, or that we're spiritualizing its meaning. On the contrary, recognizing literary features like imagery is a part of our normal strategy of grammatical, historical interpretation. After all, if John intended to speak metaphorically, then it would be a huge mistake to interpret his words in woodenly literal ways. Responsible readings of the book of Revelation acknowledge its images, and interpret them according to normal literary conventions. Now that we've introduced some of the important characteristics of prophecy, let's focus on the types of prophetic fulfillments we see in Scripture. Prophetic fulfillment is a very complicated subject. But for the purposes of this lesson, we can speak of three types of prophetic fulfillment. First, prophecies may be fulfilled in a direct manner. When most people think about prophecy being fulfilled, the first thing that comes to mind is direct fulfillment. Prophecies can be directly fulfilled when the events they predict come to pass as stated. For instance, in Jeremiah 25:8-11, Jeremiah announced that Judah would fall to the Babylonians and become a desolate wasteland for 70 years. And according to 2 Chronicles 36:15-21, this is precisely what happened. Second, there can also be contingent fulfillments of prophecy. A contingent fulfillment occurs when the outcome of a prophecy is somehow modified in light of the way human beings respond to the prophecy. We've already seen that the outcomes of prophecies may be modified by the responses of their recipients. When this happens, we can say that the results were contingent on the responses of the people. This is what we have in mind when we speak of contingent fulfillments of prophecy. For instance, in 2 Samuel 12:1-15, the prophet Nathan warned David that God was going to kill David because he had committed adultery with Bathsheba and murdered her husband Uriah. In response to this prophecy, David repented. Because he repented, God reduced the judgment on him by sparing his life. But God still took the life of David's son and brought calamity on David's family. 2 Samuel 13–19 describe in great detail the fulfillment of Nathan's prophecy on David's family. The treatment of past persons, institutions or events in Scripture as foreshadows that prefigure later persons, institutions or events. For instance, Paul called Adam a type of Christ in Romans 5:14, because Adam's life foreshadowed Jesus' life. But where Adam sinned in the garden bringing sin and death on humanity, Jesus obeyed bringing life and justification for believers in him. So a typological fulfillment of prophecy is one in which the things that the prophecy states directly are foreshadows of future events. For instance, in Mathew 2:15, Matthew said that when Jesus' family left Egypt, it fulfilled Hosea 11:1, which says, "Out of Egypt I called my son." This verse in Hosea wasn't predicting the coming of the Messiah. In fact, the prophecy was looking back in history to say that God had redeemed Israel from Egypt during the Exodus. But typologically speaking, this passage was fulfilled again in Jesus' day because the Exodus was a pattern that prefigured the life of Israel's great Messiah. New Testament writers understood that some Old Testament prophecies had already been fulfilled even before they wrote their New Testament books. But they still felt free to point to greater typological fulfillments in their own day. Having compared Revelation to the genre of prophecy, we're ready to address the sub-category of prophecy known as apocalyptic literature. We'll explore the nature of apocalyptic literature first by looking at its characteristics, and second by summarizing its historical development. Let's begin with the characteristics of biblical apocalyptic literature. Highly symbolic literature that reports divine revelations, usually received through private disclosures, about the interactions among natural, preternatural and supernatural realities, and their impact on the past, present and future. This definition is rather detailed, so we should take the time to explain it. First, let's consider the fact that biblical apocalyptic literature is highly symbolic.  Broadly speaking, a symbol is a sign or other representation that points to something beyond itself. For example, words are symbols that represent things like ideas, objects, actions, attributes, and so on. National flags are symbols of countries. And the cross is a highly recognizable symbol for the Christian religion. The mystery of the seven stars that you saw in my right hand and of the seven golden lampstands is this: The seven stars are the angels of the seven churches, and the seven lampstands are the seven churches (Revelation 1:20). In the context of this verse, John had received a vision of Christ, in which the Lord was holding stars in his right hand and walking among lampstands. But the stars and lamps were symbolic. They represented angels and churches. Biblical apocalyptic literature makes frequent use of symbols. Some symbols are largely descriptive, like when an author chooses symbols that are visibly similar to what he's observed. For instance, in Daniel 7:4, Daniel recorded a vision of a beast that looked like a lion with the wings of an eagle. The lion and the wings were descriptive because they communicated the creature's actual appearance. And they were symbolic because they also communicated its nature. The symbol of the lion implied that the creature was powerful and fearsome. And the wings on the lion probably associated it with Babylon, which often portrayed winged lions in its art. 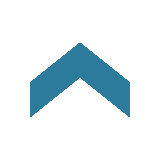 In other cases, a symbol may be devised in order to illustrate a point. For instance, in Joel 2:25, God described invading armies as locusts. The armies didn't look like locusts, but they behaved like locusts. They were an unstoppable mass that devoured everything they desired. Still other symbols are used because they are traditional representations of things or ideas, similar to a country's flag. For instance, in Revelation 1:10-20, John received a vision of Jesus that was highly symbolic. Jesus appeared as a human being dressed in a long robe with a golden sash around his chest. His face shone like the sun. His hair was white. His eyes blazed like fire. His feet were like bronze glowing in a furnace. His voice was like rushing water. He had a double-edged sword coming out of his mouth. He held seven stars in his hand. And he stood among seven lampstands. These details recalled symbols and imagery from the Old Testament, and therefore implied something about Jesus. For instance, his white clothes and hair, and his blazing face recall the description of God in Daniel 7:9. The lampstands recalled the tabernacle and temple furnishings, indicating that Jesus was still present with his people just as God had been present with them in his special houses of worship in the Old Testament. And the stars recalled Old Testament descriptions of kings and other human leaders, as in Numbers 24:17, Isaiah 14:12, and many other places. So when Revelation speaks of stars as angels that represent churches, it's because Jesus was revealing his present spiritual reign as King over all creation. From a human perspective, Rome threatened to control the fate of the church. But the symbol revealed that Jesus held complete power and authority over the church in his hand. Apocalyptic writings often contain images and symbols that modern readers find difficult to understand. But most of the symbols in the book of Revelation weren't confusing to John's original audience, because they were drawn from the Old Testament and from the world around them. Their purpose wasn't to confuse John's readers, but to communicate truth to them in a compelling, memorable way. A second characteristic of biblical apocalyptic literature is that it reports divine revelations. Biblical apocalyptic literature is inspired by the Holy Spirit, just like the rest of Scripture. It's part of God's infallible, fully reliable, and authoritative Word to his people. It reports true revelations that were given to human authors either by God himself, or through his perfectly trustworthy angelic messengers. Biblical apocalyptic literature isn't speculative. It's not a human author's best guess. On the contrary, it's God's true communication to his people that reveals his intentions toward creation. Third, the divine revelations reported in biblical apocalyptic literature tend to have been received through private disclosures. The word apocalypse itself means "uncovering" or "disclosure." So, at its heart, biblical apocalyptic literature is a work that reveals God's plan to his people, so that they'll be able to make sense of the world and not lose hope. But unlike some other miraculous revelations, as when God appeared to the entire nation of Israel as a pillar of cloud in Exodus 13, biblical apocalyptic disclosures tended to be received by solitary individuals. Prophets received dreams. They heard voices or sounds. They saw visions. They were visited by angelic messengers. They had experiences that seemed to take them out of their bodies. Sometimes they even met God himself. But this happened in a private setting. It was then up to the prophet, as God's messenger and ambassador, to deliver the message to God's people. The fourth characteristic of biblical apocalyptic literature we'll mention is that it deals with interactions among natural, preternatural and supernatural realities. The word natural refers to the universe where we live, including the physical world and all its creatures. The word preternatural refers to the world beyond nature. This is the world inhabited by spirits such as angels and demons. Finally, the word supernatural means above nature, and refers specifically to God and his actions. God is the only sovereign being who is fully above and in control of the natural realm, so he is the only being that is truly supernatural. All these realms are constantly interacting. God exerts control over the natural and preternatural realms. The angels and demons in the preternatural realm influence things that happen in the natural realm. Demons tempt us to sin. Angels guard us. And according to Scripture, angels and demons even impact international politics. Throughout the Old and New Testaments we find glimpses into the spiritual forces that influence the history of the world. For example, in 2 Kings 6, Elisha was being pursued by the king of Aram. Eventually, the king of Aram caught up to Elisha and surrounded him, and Elisha's servant became terrified. "Oh, my lord, what shall we do?" the servant asked. "Don't be afraid," the prophet answered. "Those who are with us are more than those who are with them." And Elisha prayed, "O Lord, open his eyes so he may see." Then the Lord opened the servant's eyes, and he looked and saw the hills full of horses and chariots of fire all around Elisha (2 Kings 6:15-17). Although such insights into the preternatural and supernatural realms appear here and there in various parts of the Old and New Testaments, biblical apocalyptic literature heavily concentrates on these matters. For example, portions of Joel, Ezekiel, Daniel and Zechariah concentrate attention on the interactions between the natural, preternatural and supernatural realms. And in much the same way, the book of Revelation draws attention again and again to the invisible realms of God and of the spiritual powers and authorities that God employs for his purposes. Finally, a fifth characteristic of biblical apocalyptic literature is that it describes the impact of the natural, preternatural and supernatural realms on the past, present and future. Apocalyptic literature focuses on all aspects of history. It explains the ways that natural, preternatural and supernatural realms have impacted our world in the past, how they continue to affect us in the present, and how they'll influence our future. And more than this, like the rest of the Bible, biblical apocalyptic literature views all of history as one grand story — the story of creation, the fall into sin, and subsequent redemption through Christ. Apocalyptic literature tends to describe the present in terms of its suffering and difficulties, and to focus on the future as the time when all our hopes will be fulfilled. Sometimes modern Christians have a difficult time with the book of Revelation because we don't normally think of the spiritual influences that lie behind our experiences in life. As people who are influenced by modern science, we tend to look for naturalistic explanations for the things that happen in our lives. We focus on things we can see, hear, smell, taste and touch. But the Scriptures make it clear that our senses can perceive only part of what happens around and in us. To grasp what the book of Revelation offers us today, we have to set aside these naturalistic prejudices and follow the teaching of Scripture. What happens within us and around us is deeply influenced by spiritual powers and by God himself. What may appear to us as very natural occurrences, personal crises, troubles in the church, and even political struggles are not simply natural occurrences. They are the result of complex involvements that include God and spiritual realities. When we accept the Bible's outlook on these matters, Revelation can speak to us powerfully, just as it did to John's first century audience. None of us can see the full spiritual realities that lie behind our experiences. But the book of Revelation lifts the veil on these spiritual realities to allow us to see God's cosmic plan to bring salvation into history through Jesus Christ. He's present now with his church by his Spirit, and he'll return to claim final victory over all his enemies. Now that we've examined the characteristics of biblical apocalyptic literature, let's turn our attention to its historical development. Many critical scholars have thought that apocalyptic literature in the Bible came from Babylonian and Persian influences late in Israel's history, after Israel's sixth-century B.C. exile in Babylon. But newer research has shown that the main features of the apocalyptic genre began to develop early in biblical revelation as Israel interacted with the surrounding cultures of the Canaanites and other west Semitic peoples. Many elements that became prominent in biblical apocalyptic literature also appear in the earliest books of the Old Testament. For instance, in Exodus 15, there is a highly symbolic song celebrating the fact that God drowned the Egyptian army in the Red Sea. It speaks of God shattering the Egyptians with his right hand, burning them like stubble, piling up waters with a blast of his nostrils, and causing them to be swallowed by the earth. It goes on to say that the nations will cower in fear of God, so that Israel will be established in the Promised Land, and so that God will dwell with them there as their everlasting king. Another example from the books of Moses is Balaam's prophecy in Numbers 24:17, where the rise of kingship in Israel is described with the imagery of a star. This style of literature became progressively more developed throughout Israel's history. Job 26:12 and Psalm 89:10 speak of God slaying the serpent Rahab in a cosmic battle. And in Job 41, God proclaimed his power over Leviathan the sea monster. And the prophets continued to develop apocalyptic imagery to even greater levels in books like Joel, Daniel, Ezekiel and Zechariah. For instance, Daniel 7 records Daniel's dream in which a series of monstrous beasts rises out of the sea, ending when God judges and destroys the last and most terrible of them. The period immediately following the close of the Old Testament is often called the "intertestamental period" because it was written after the Old Testament and before the New Testament. During this time, apocalyptic literature fully developed into a distinct genre, and many uninspired, extra-biblical apocalyptic writings were produced. These include The Assumption of Moses , Enoch , parts of 2 Esdras , The Apocalypse of Baruch , and The War Scroll found in Qumran. Even though these writings aren't part of the Bible, we mention them because they help us trace the development of the apocalyptic genre. These writings were heavily oriented toward the cosmic struggles behind the earthly experiences of their audiences. They drew heavily from imagery in Old Testament prophets, and developed much more elaborate uses of these images by mixing them together. These particular aspects of intertestamental apocalyptic literature are also found in New Testament apocalyptic writings. Even though intertestamental apocalyptic writings have certain similarities to biblical apocalyptic writings, they also possess characteristics that distinguish them from Scripture in some important ways. For instance, many are pseudonymous, meaning that they were written under a false name to encourage people to read and accept the writing as an authentic product of the falsely named author. But this practice was dishonest, and Paul condemned it in 2 Thessalonians 2:2. Some extra-biblical apocalyptic writings also talked about past events as if they hadn't happened yet, in order to give the appearance that the writer accurately foretold the entire history of Israel. This, of course, is another form of dishonesty. And biblical apocalyptic literature never employs this tactic. In the New Testament, the genre of apocalyptic literature continued to develop. Now, we have to remember that New Testament apocalyptic material is very different from intertestamental literature. The New Testament is entirely honest and trustworthy. At the same time, New Testament apocalyptic literature uses a style that is very similar to intertestamental apocalyptic writings. Outside the book of Revelation, we find apocalyptic forms in places like Matthew 24. In that chapter, Jesus drew from apocalyptic visions in Daniel and Isaiah in order to explain the future events like the destruction of the temple in Jerusalem, and even the end of the world. For instance, in Matthew 24:29, Jesus talked about the sun and moon ceasing to give light, and the stars falling from the sky. There may even be hints of apocalyptic style in Paul's letters. Paul often gave hope to his readers by demonstrating that Christ's death and resurrection defeated demonic powers, as in Colossians 1:15-20 and 2:13-15. He frequently talked about spiritual warfare in ways that resembled apocalyptic writings. And in 2 Thessalonians 2, he spoke of the cosmic forces of evil that will be defeated at Christ's return. But of course, the New Testament writing that best exemplifies the final development of biblical apocalyptic literature is the book of Revelation. Revelation is complex because it contains a concentration of apocalyptic features. But it's also deeply rooted in the rest of Scripture. And this should comfort us as we read it. The book may seem foreign to us, but the rest of Scripture can help us understand its message, as well as its application to our own lives in the modern world. Understanding the literary background of Revelation is a huge help to us. The fact that Revelation consists primarily of apocalyptic prophecy assures us that the book of Revelation is intended to motivate us to obey God from our hearts. Its words and images aren't intended to confuse us or to present us with puzzles about an immutable future. On the contrary, Revelation is intended as an understandable, encouraging guide to a life of service to God. As we investigate the book of Revelation more deeply in other lessons, understanding its function as apocalyptic prophecy will help us grasp its message, and live according to its teachings. In this lesson, we've surveyed three important aspects of the background of Revelation. We've explored its historical setting focusing on its author, date of composition, and original audience. We've considered its theological context in terms of the eschatology of the New Testament, the concept of covenant, and the role of prophets. And we've described the literary background of Revelation, particularly its relationship to the genres of prophecy and apocalyptic. The book of Revelation may seem strange to our ears today. But in its original setting, it would have been much easier to understand. The forms John used and the things he said would have been familiar to his first audience. And the better we understand their context and perspectives, the better we'll be able to understand John's message, and to apply it to our own lives. Whether we're suffering for the sake of Christ and the gospel, or enjoying relative peace, the book of Revelation teaches us to remain faithful to Jesus, and to hope in the wonderful future God planned for those who trust him. Dr. Steve Brown (Host) is the Founder of Key Life Network, Inc., a teaching ministry that uses radio broadcasts, podcasts, seminars and publications to share "the radical grace of God to sinners and sufferers." He is Professor of Practical Theology (Emeritus) at Reformed Theological Seminary and Visiting Professor of Practical Theology at Knox Theological Seminary and Westminster Theological Seminary. Dr. Brown earned his Bachelor of Sacred Theology from Boston University School of Theology and was awarded a Doctor of Letters degree from King College. He served as Senior Pastor of Key Biscayne Presbyterian Church in South Florida for 17 years and is the author of more than a dozen books including, When Being Good Isn't Good Enough (Baker Publishing Group, 1995), Scandalous Freedom: The Radical Nature of the Gospel (Howard Books, 2004), and Three Free Sins: God's Not Mad at You (Howard Books, 2012). Dr. David W. Chapman is Associate Professor of New Testament and Archaeology at Covenant Theological Seminary. Dr. Robert B. Chisholm, Jr. is Department Chair and Professor of Old Testament at Dallas Theological Seminary. Dr. David B. Garner is Associate Professor of Systematic Theology at Westminster Theological Seminary in Glenside, Pennsylvania. Dr. John E. McKinley is Associate Professor of Biblical and Theological Studies at Talbot School of Theology. Dr. Ben Witherington III is Professor of New Testament Interpretation at Asbury Theological Seminary.